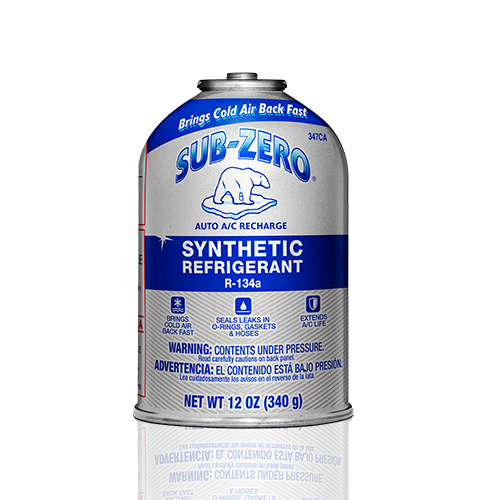 Sub-Zero® synthetic refrigerant kit refill has a specially designed formula featuring Cool Boost® technology that helps a vehicle's A/C produce colder air. The approximately 11 oz. 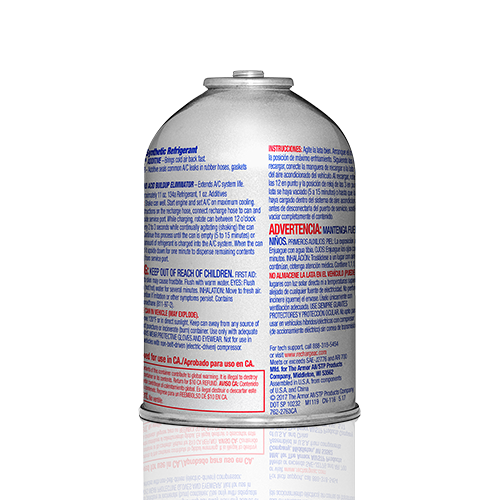 of R-134a and 1 oz. 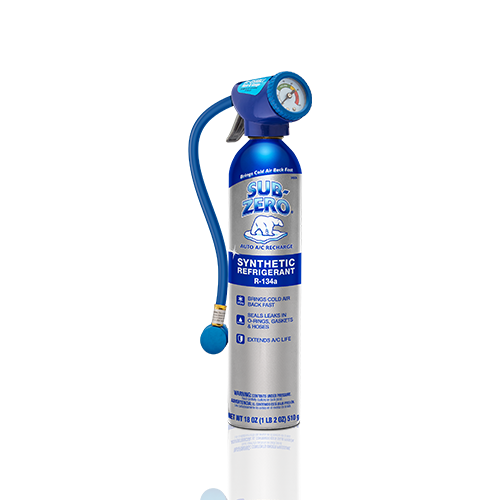 of additives are used to recharge a vehicle's A/C system, seal common leaks in rubber components, and help extend the A/C system's life by eliminating acid and moisture buildup. 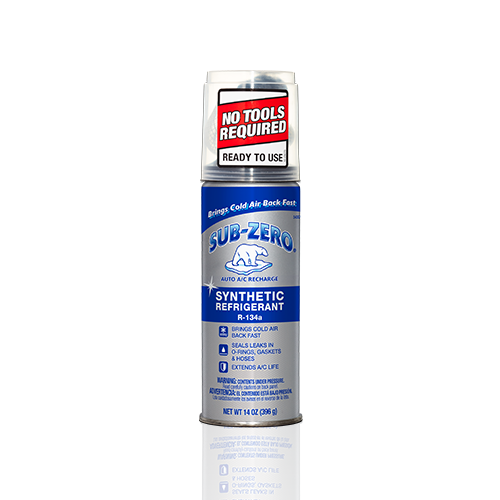 This refill can contain the same formula found in the Sub-Zero® kit, SZ345-1.